This mechanical bull was created as a weekend hobby. The creation process was simple and did not last more than two hours. The materials I already had at home. 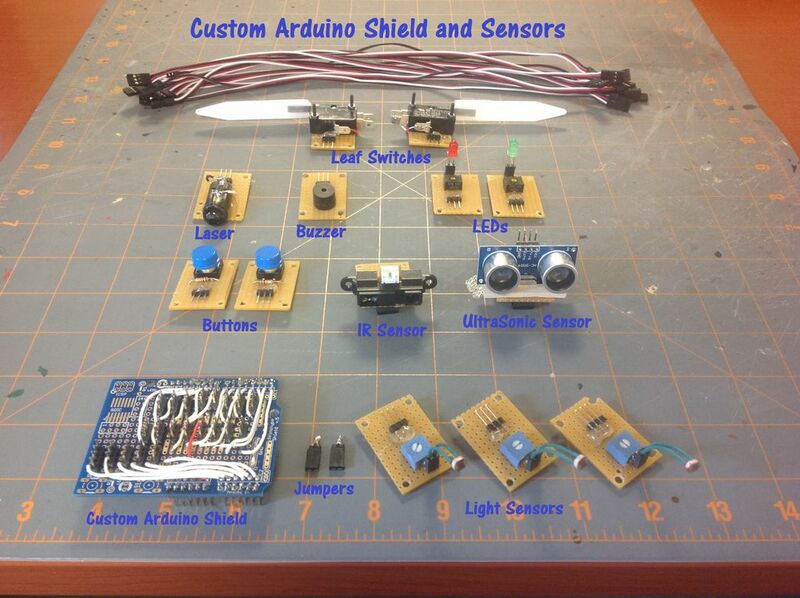 For those who wish to make an equal, will be a good opportunity to recycle materials and learn how to use the joystick shield with Arduino. Hope you enjoy. I used a can of soda as a model for the doll bull riding. After that, I drew on the cardboard, cut out the template and glued using hot glue. 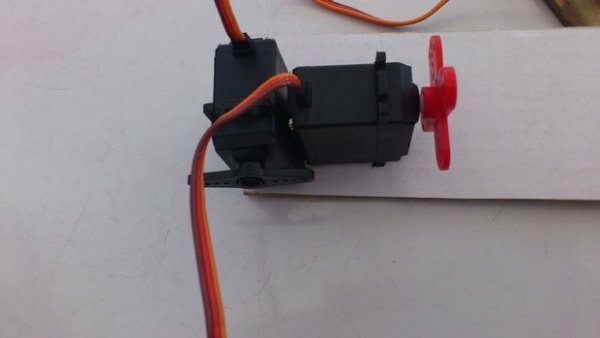 The servo motors are fixed on each other as shown, using a piece of cardboard to position them correctly and hot glue. Joining small pieces of cardboard with a hole in the center, was made a bracket to hold the mount in servants. I used a bolt, a nut and washer to secure the mount in servants, according to the figure. Also used a piece to make the linking of movement between the servo arm and mount. This part should be a little slack for not hang with the movements. The base was made ​​with a simple cardboard cutout. I made the design of servo arm that controls the base, cut out and pasted it on cardboard with hot glue. I used a part of the soda can as a handle to hold the puppets up on it.